Shortage of blood has been a major problem in the country. According to Hindustan Times, the shortage was estimated at 1.1 million units, according to Union Health Minister JP Nadda. Similarly, in the midst of natural calamities like earthquakes, help doesn’t always reach the aggrieved owing to lack of coordination. Due to the gap between resource and requirement in such situations, a lot of resources and potential remain under utilised. Merge simplicity with innovation and a great idea is born. With a common goal of leading change in society, every individual can make contributions on the basis of their skills. To give wings to future young leaders’ flight of co-creating a happier society, The Coca-Cola Company launched the ‘Shaping a Better Future Grant Challenge for the Global Shapers Community’ initiative. Global Shapers are those change-makers who come up with effective and innovative solutions to address serious issues. These winners inspire others to take charge and initiate change. Team building and coordination are additional skills which define the success rates of these initiatives. One such project is the Kalpa Vriksha app. It helps people connect so as to fulfill the requirements of various projects like blood donor contacts and volunteers, via their talents and contributions. The app’s name thus stands true to its purpose: a wish-fulfilling tree that provides for all needs. As of now, the app is active on two platforms -Blood Donor.Me and In Kind. The unavailability and struggle of finding blood donors during medical emergencies is a common occurrence in India. Insufficient voluntary blood donations are only a part of the problem. The shelf-life of donated blood varies from 35 to 42 days. The gap between the requirement and availability of blood in India is fatal, to say the least. Only 10 per cent of the actual demand for blood, i.e. 40 million units, is met every year. Blood Donor.Me is an app that aims to eliminate this gap through by serving as an online repository of donor details. The app benefits people who need blood in emergencies and allows people to connect with donors of the required blood group and location. The enthusiastic team of Chandigarh Shapers is now trying to spread word about the app besides building an extensive donor database for potential receivers. They are reaching out to not-for-profits, hospitals and blood banks. The team’s efforts have helped bring together a list of 30,000 donors which will be added to Blood Donor.Me. With 500 app downloads and 30 successful donations a short span after its launch, estimates indicate that up to 2000 lives have been impacted. A survey conducted by the Global Shapers shed light on the fact that 60 per cent of donations in Chandigarh were made to low-requirement causes, instead of high-priority and immediate ones. This again makes one realise how communication, teamwork, leadership, coordination play crucial roles in simplifying the execution of a project. The team came up with the InKind app through which non-profit organisations can reach out to potential contributors. They do so by posting requests which include lists of volunteers, funds for clothing, stationery, groceries and more. The contributors then review the causes they would like to support and are better equipped to understand the means through which they can do so. The successful launch of Kalpa Vriksha and the blood donations received thereafter have charted a path for creating a mobile app ecosystem which further streamlines the process via the elaborate database. Driving more installs, launching the app globally and improving its efficacy are the next three immediate goals, after the $50000 grant received for the project. 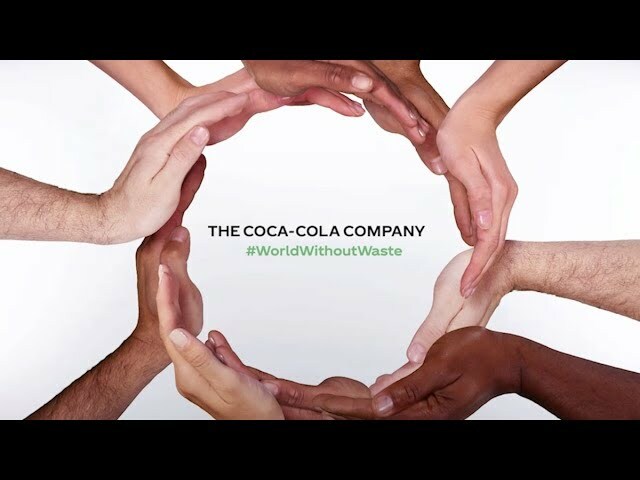 The Coca-Cola Company intends to continue encouraging the efforts of the Global Shapers in the coming years to come.